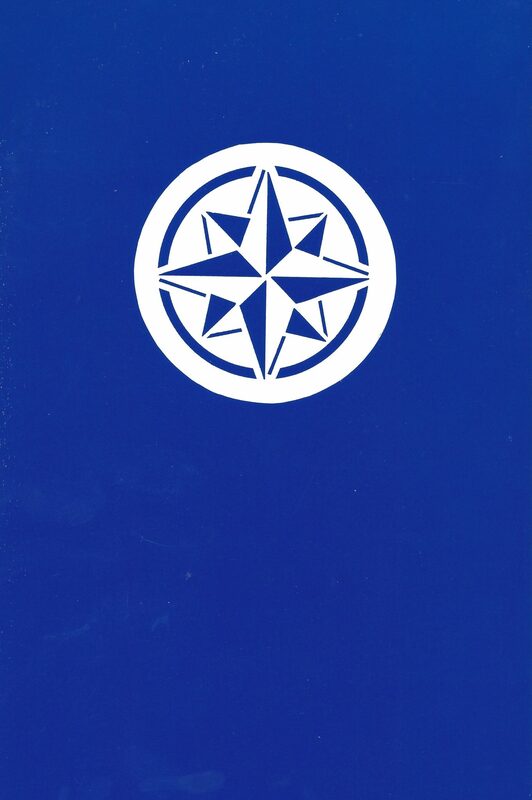 For several years prior to his passing away in January of 1985, Capt. Carey Johnson, harbor master of Port Boca Grande, contributed a popular historical column to the Boca Beacon, an island newspaper which has continuously served Boca Grande for 10 years. 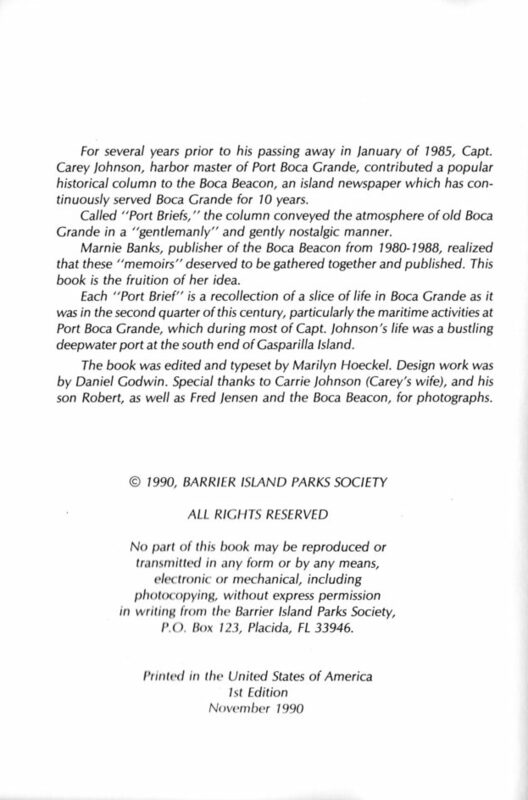 Called “Port Briefs” the column conveyed the atmosphere of the old Boca Grande in a gentlemanly and gently nostalgic manner. 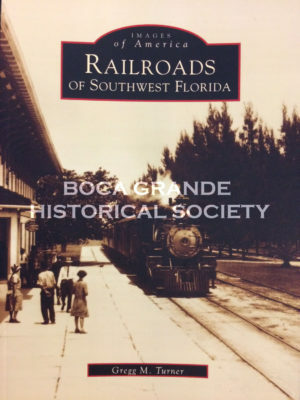 Marnie Banks, publisher of the Boca Beacon from from 1980-1988, realized that these “memoirs” deserved to be gathered together and published. This book is the fruition of her idea. 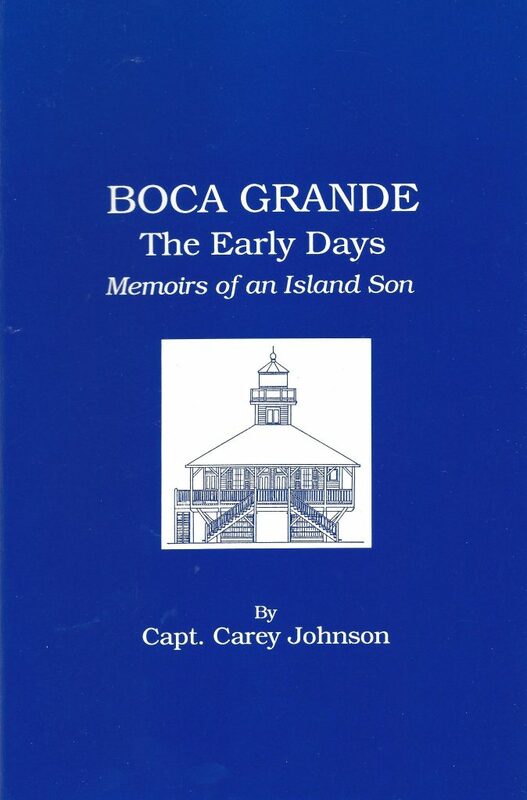 Each “Port Brief” is a recollection of a slice of life in Boca Grande as it was in the second quarter of this century, particularly the maritime activities at Port Boca Grande, which during most of Capt. 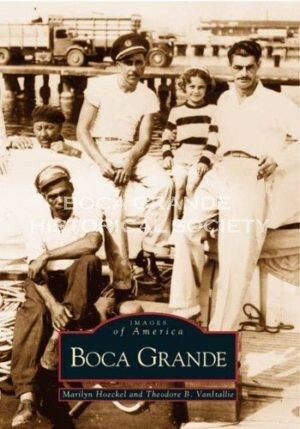 Johnson’s life was a bustling deepwater port at the south end of Gasparilla Island. 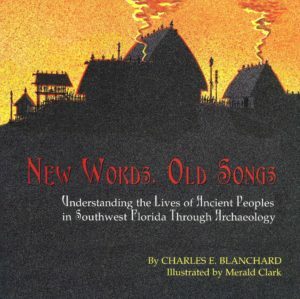 The book was edited and typeset by Marilyn Hoekel. Design work was by Daniel Godwin. Special thanks to Carrie Johnson (Carey’s wife) and his son, Robert, as well as Fred Jensen and the Boca Beacon, for photographs.